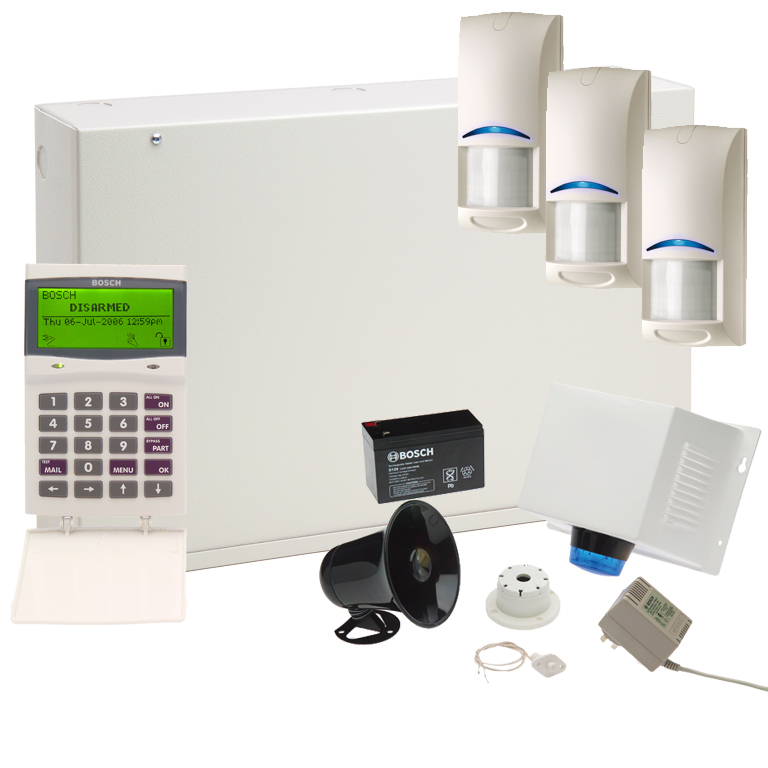 Bosch Solution 6000 package – $1240 Fully Installed (for single storey homes) For double storey homes, view Alarm Pack 2 + 250. Add a 3G GSM Module for an additional 275 (if you don’t have a phone line and want reporting via SIM Card). The alarm system can include up to 144 zones and 256 users. The Solution 6000 now has multiple keypad and reader options, including external readers, external keypads, and even a biometric fingerprint reader. This security system supports an extensive range of reporting formats, including: Conettix IP, GSM, SMS, Email, CID, GPRS, CSV, IP, SIA 3+ Text, Voice and Domestic Dial. Up to 37 outputs available with one on-board dedicated relay programmed for roller doors. The advanced remote access software allows us to make programming changes or diagnose any issues with the system.